Peak Performance Swim Camp introduces two NEW summer camp programs in NYC-Manhattan! 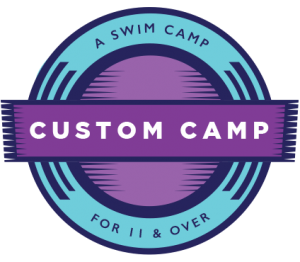 Choose our CUSTOM CAMP for 11 & Over swimmers OR our specially-designed TOP 10 CAMP for 10 & Under swimmers. Refine your stroke technique to swim faster and more efficiently! They say that variety is the spice of life. At PEAK, we believe that variety should extend to the teaching and training of swimmers. That’s why we created the Custom Camp, where swimmers have the option (at specific times throughout the day) to choose what they want to learn and train. For example, in addition to the standard camp content offered on the first day, swimmers have the option to work backstroke technique or breaststroke technique, a sprint set or a distance freestyle set, and relay starts or backstroke starts. And the custom options vary from day-to-day! The benefit of customization is that it targets specific needs allowing swimmers to improve at a much faster rate. It would be near impossible for us to offer a camp format such as this with a large number of swimmers, so we restrict registration to ensure a 7-to-1 swimmer-to-coach ratio (the lowest in the industry). In addition to swimming, we include a daily Winning Spirit pep talk, dynamic dry-land training, and soothing yoga. Come to PEAK and get a head start on your competition! It’s finally here, a swim camp exclusively designed for the 10 & Under swimmer! At PEAK, our mission is to get swimmers off to a fast start by teaching them the skills they need to win! 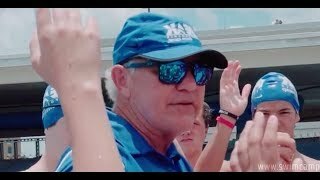 10 & Under swimmers are a unique group who require extra care, attention, and patience, so we created a swim camp just for them. Our five-day format covers the three starts (front, back, and relay), the four strokes and turns, plus mini swim sets throughout the day. PEAK coaches are masters at teaching state-of-the-art technique, and our 6-to-1 swimmer-to-coach ratio is the lowest in the industry! Due to our low ratio, space is limited. Learn from the PEAK pros and get the winning edge! Note: The Top 10 Camp is not a learn-to-swim program, but specifically designed for aspiring young competitive swimmers. Throughout the camp, swimmers perform multiple lengths of each stroke, including the Butterfly.